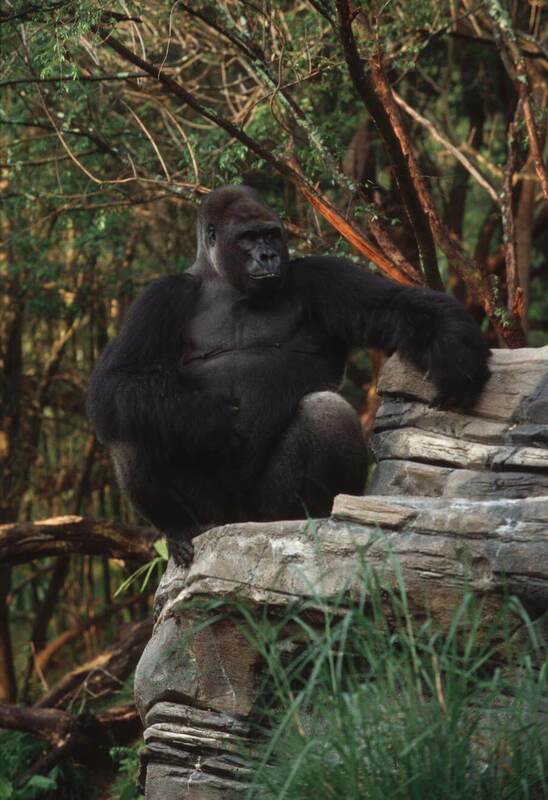 Gorilla Falls Exploration Trail is a self-guided walking tour of native African wildlife. In order of encounter, guests can observe Black and White Colobus Monkeys, Stanley Cranes, Okapi, rare African birds like great blue turacos and bearded barbets, hippos, marabou storks, Gerenuks, and guest-favorite, a pack of Lowland Gorillas. The path will take you through gardens of Africa flora and fauna. Stop at the various observation stations to catch a photo of the exotic animals and plant life, while learning about the worldwide conservation efforts to help protect them and how you can help. 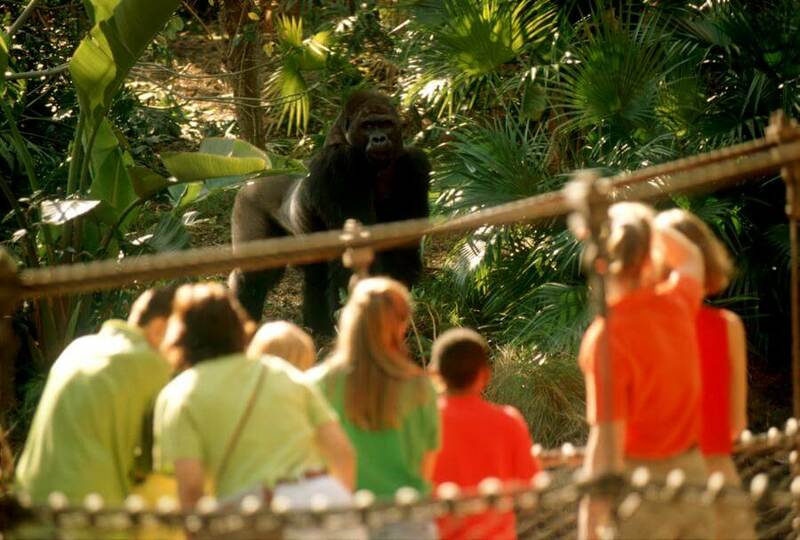 Gorilla Falls Exploration Trail is a self-guided tour located in Africa at Disney's Animal Kingdom® Theme Park. In order to see everything, but not overstay your welcome, 20-25 minutes is sufficient. There are Cast Members along the trail who will answer any questions you may have about the wildlife. They will also “shush” you as you approach the gorilla sanctuary…it’s a quiet zone. Guests may remain in their wheelchair, motorized scooter or ECV to experience the attraction. Shedule Gorilla Falls Exploration Trail as one of your first attractions or save it until the end of the day. During the busiest parts of the day, this trail can be almost impossible to navigate and you might have a hard time getting a good look at the animals. 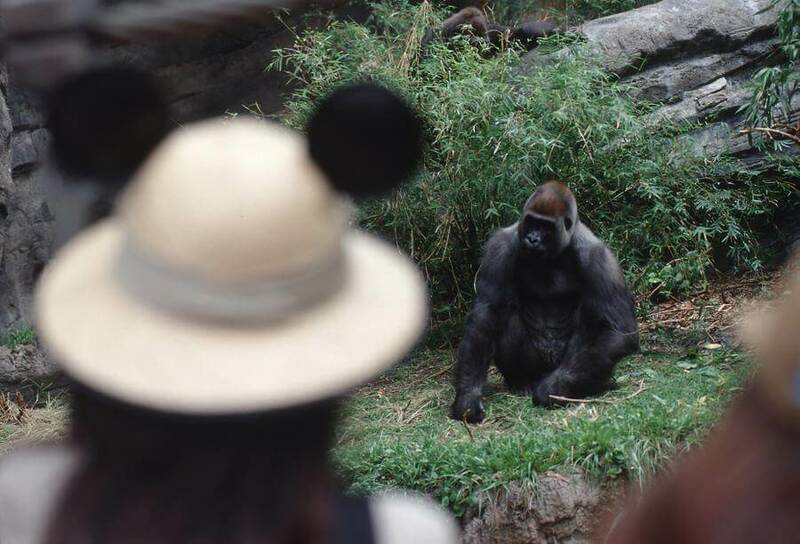 This is due to the neighboring attraction, Kilimanjaro Safaris® Expedition, which spills several hundred guests every few minutes onto the entrance of the trail. Warning…Despite having seen the gorillas several times, we still have to remind the kids that it’s a QUIET zone. 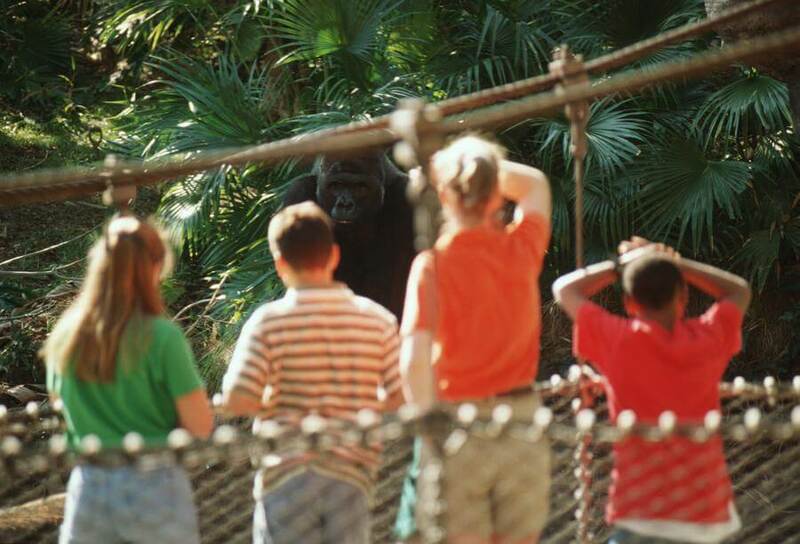 The trail opened in 1998 as Gorilla Falls Exploration Trail and then was changed to Pangani Forest Exploration Trail. in 2016, it took its original name again. The relatives of both Pumbaa and Timon from Disney's "The Lion King" live here in Africa - the meerkat and the warthog.